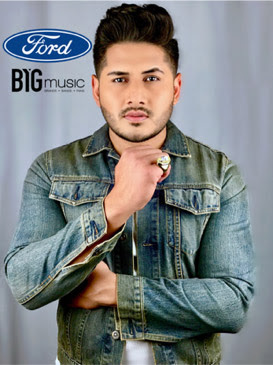 The Ford Motor Company and singer/songwriter Leyo have joined forces to help fund his new musical project via a BYGMusic social media effort and give fans a chance to win $30,000 towards a new Ford vehicle. Beginning the week of June 19 until the week of Sept. 12, fans will have to respond to a series of call-to-action posts on Leyo’s official Facebook, Instagram and Twitter pages (@OfficialLeyo on all platforms) in order to enter the contest. Fans are to click on a link that will direct them to Leyo’s personal Ford landing page created by BYGMusic (available in both English and Spanish) and will then be asked to enter their information (name, e-mail and zip code) to become eligible to win the $30,000. While submitting their information, fans will also be given the option to “Opt In,” agreeing to become a Ford Hand Raiser. It is crucial for fans to “Opt In” in order for Leyo to receive the maximum amount per action. Fans will also be asked to watch a short 30-second video for an additional five entries, for a total of 6 after submitting their information. Fans must be 18 years old to enter the contest. "It's an artist’s dream to have a huge brand that you grew up admiring and still believe in, believe in you," Leyo said. "Having Ford support my Latino culture and my artistry esta padridismo."